These muffins are easier, a little less fancy pants, and just as tasty. You may not want to take gougères to a Super Bowl party, but these mini muffins would definitely fit in. The flour to cheese ratio in these muffins pretty much favors cheese. How can that be wrong? 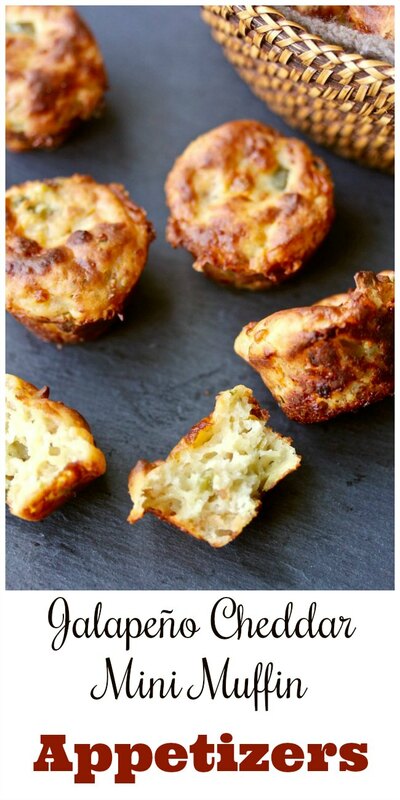 These little cheesy muffins will also fit in at a cocktail or holiday party too. They are delicious warm and fresh from the oven and are easily reheated in the oven or toaster oven in just five minutes. If you are hosting your family holiday get together this year, or if you are tasked with bringing appetizers for a crowd, give these cheesy mini muffins a try. I promise, you'll be very popular. There's something about crispy browned cheese, right? 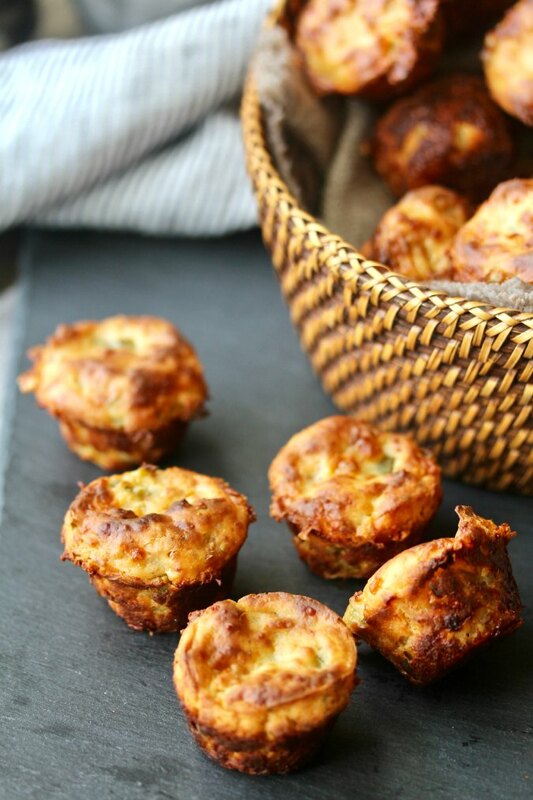 These jalapeño cheddar mini muffins are more like little spicy cheese puffs than muffins. I used sharp white cheddar cheese in these, but you can use yellow cheddar cheese if you prefer. I also used sour cream in these muffins, but you can easily substitute Greek yogurt. 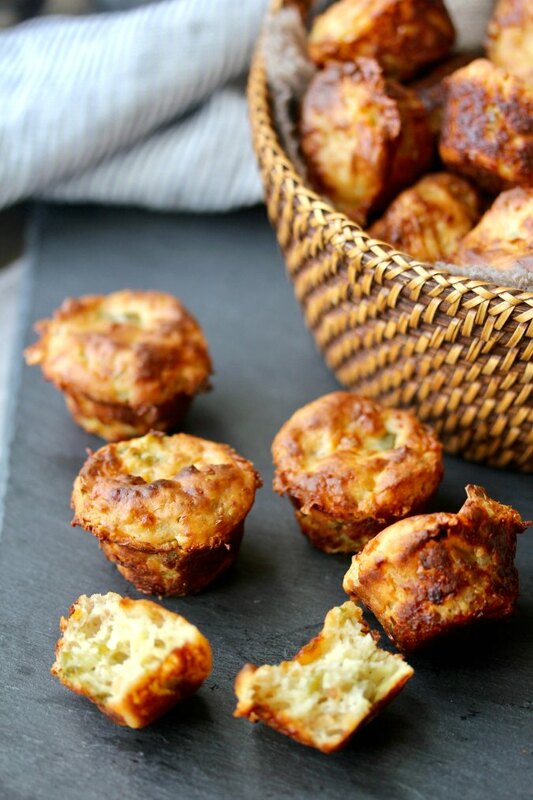 One of my favorite ingredients in these muffins is canned French fried onions. You can use the French's brand, however, let me introduce you to Fresh Gourmet Crispy Onions. I recently found these at my grocery store, and fell in love. If you do get them, be careful not to taste them, or you will find yourself finishing off the rest of the bag for dinner. They are compelling. If you have friends stopping by for cocktails or an afternoon visit, consider whipping up this recipe. These muffins take just about 15 minutes to put together, and another 20 to 15 minutes to bake. Or, maybe you should make them just for yourself in advance for "quality control." Heat your oven to 400 degrees F and spray a 24 cavity mini muffin pan with spray oil. In a medium bowl, mix together the sour cream, cheddar, Parmesan, jalapeños, cumin, milk, eggs, and French onions. In another medium bowl, whisk together the flour, baking powder, and salt. Add the dry ingredients to the wet ingredients, and mix with a spatula until all of the flour is combined. 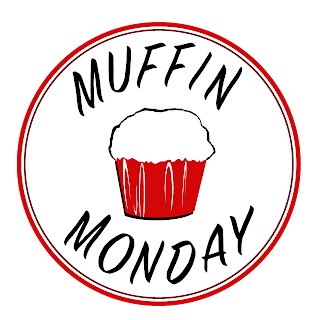 Portion the batter into the 24 cavities of the muffin pan so that the batter is just below the top of each cavity. A tablespoon cookie scoop works well here. Bake for 20 to 25 minutes, until the tops are golden brown. Remove the pan from the oven and let cool for 5 minutes. Remove the muffins from the pan and serve immediately. Leftovers can be kept in an airtight container for up to four days, or frozen, individually wrapped, for up to two months. Reheat in the oven or toaster oven. I don't even know where to start. With the cheese to flour ratio (ideal! ), those fried onions (divine) or the minced jalapeños? You are so right, Karen. There's just something about crispy browned cheese! These would be amazing with a big bowl of chili! I'm in! 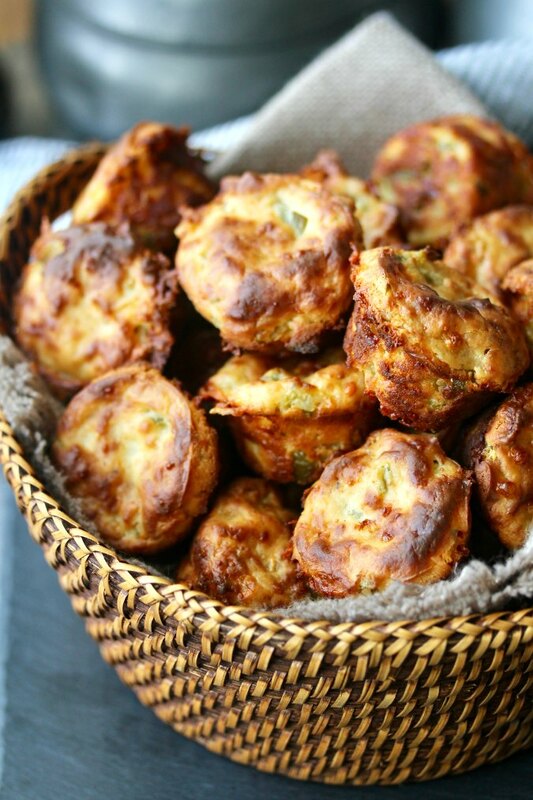 You had me at the gougeres part, then the jalapeno popped up. Yum! I am not kidding. I drooled. This is just THE most enticing food item I've seen in a long time! I love seeing all that cheese! !